A new project hopes to add sculptures of suffragists Elizabeth Cady Stanton and Susan B. Anthony to the public art of Central Park. Out of the park’s 22 sculptures, none depict women. Of the 5,193 public outdoor sculptures in the U.S., only 394 are of women. 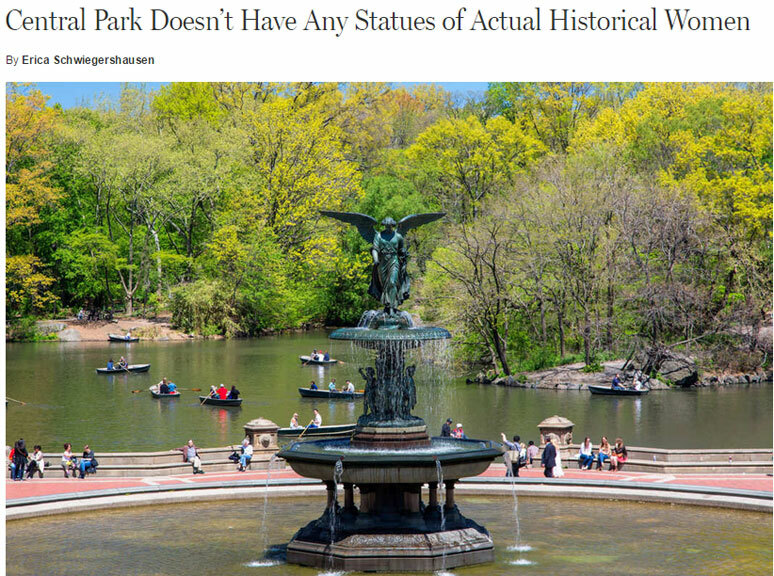 New York Magazine discusses the lack of monuments featuring women. Chicagoist also discusses the need for more statues of women of historical significance in Chicago parks—rather than depictions of fictional female characters like Dorothy from The Wizard of Oz. Los Angeles Times comments on the glaring lack of major solo exhibitions in the city featuring black women artists. Ti-Rock Moore, the artist behind the controversial Michael Brown sculpture, explains her motivations in this Huffington Post article. A Brooklyn-based artist and textile designer, Lauren Garfinkel creates food art featuring political commentary. The Telegraph’s Claire Cohen explains why author Beatrix Potter should be the next woman on Britain’s £20 note. Marvel’s publishing line relaunch includes books by 116 creators—but only 10 are women. Celebrated dancer Jennie Somogyi will retire from the New York City Ballet this fall. Female rapper MC Lyte is one of the women featured in Oprah.com’s “Who Am I” web series. 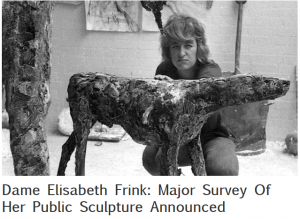 Artlyst covers an exhibition of Dame Elizabeth Frink’s works. 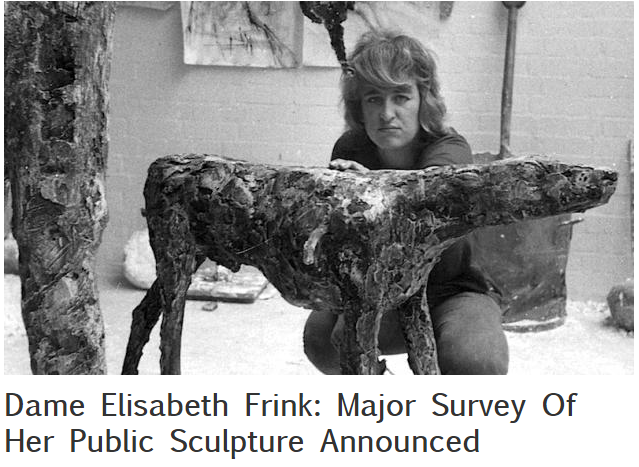 Spanning her 35-year oeuvre, a major survey of Dame Elisabeth Frink’s public sculpture commissions will open in Nottingham. The new Joan Mitchell retrospective reminds ARTnews of this throwback review of a 1965 exhibition of Mitchell’s work. Carnegie Museum of Art’s She Who Tells a Story features women artists whose work comments on and subverts stereotypes about Middle Eastern identity.